With “Art of Conquest guide to the strategy on game” i inaugurate the new category of articles regarding guides to game. I choose the beautiful strategic game Art of Conquest, which did not disappoint my expectations and is continuously updated. I write this article to help you make the first steps in the game, and avoid making you do those that could affect your game. To achieve a good level of experience, i used a very simple technique, restart the game several times on new servers. Several times i made mistakes that made me waste time. Other times, my choices have led me to dead points that i could only overcome by paying or beginning from start. Of course, my choice has always been the second. The result of my last game was to be in the top 20 of my faction and to be awarded with various titles without having spent a cent. Unfortunately, if your goal is to get to the top of the server, a simple guide is not enough and you have to use your wallet. It may seem trivial, but the hero’s choice with which to start your adventure in Art of Conquest, is the first real mistake you could make. Chosen a hero, during the early stages of the game will also join you another hero of the list. If your race is human, Avalon is definitely a real must. Considering that you will start with the human race, this constitutes a further point in its favor. It has a great ability to area that inflicts a lot of damage. It can invoke a group of archers whose strength depends on the level of your barracks, and his ability. It allows you to enhance your human forces, especially the archers will be increased both in attack and in defense. But above all, his main ability is its leadership, which increases the number of troops that can be used during battle and the ceiling of troops available. By choosing Avalon, you will soon also have Avril who has his cool skills from ice himself. Avril has two basic skills, the ice wall and the frozen nova. The first allows you to block the advance of the enemy, very useful especially to counter the fast troops and block the charge of the enemy. The second ability, instead, is the classic “area” magic that causes a lot of damage in a fairly extensive area. The latter is very useful to clean up from the weakest enemies in defense but that can create quite a bit of annoyance if left to live long. In case you do not use humans, Avalon is still a good element, but in this case it will be better to reset your human strength training skills and concentrate on ao and leadership. It remains off Rufio, but for me it is the least useful, or at least for the type of game. Rufio is a hero who bases everything on his strength and inflicts a lot of damage, very useful against bosses, less useful in field battles. So the choice of throwing Rufio into battle or keeping him on the bench depends on the type of battle you will face. Before the last patch it was not possible to have all three heroes without paying real money for one of them. Now you can retrieve the third hero while exploring the void mirror. The choice of skills is very subjective and depends very much on your tactics. I always prefer to upgrade before the skills that give real support using mana or worse still life. This could happen because they run out and you have to wait some time to be able to re-use skills. If you have it, you can also use the potions that give you a few points, but these are not infinite. Let’s take the case of Avalon, I first strengthened the skill to an area that is completely free and allows you to quickly get rid of weak groups, then strengthened troops and after the ability to invoke archers. The latter is very useful in the case of pvp, but you will not really use it in the rest of the game because it consumes life points, as we know, instead serve to deploy the hero. At the time of writing this guide, you can choose between four different races during the game. Reality the races are five, but one has not yet been developed, we will see in the next patches as it will be. Human race is the easiest to use. It has several heroes that can boost human troops and unlock them during normal course of the game. The other races rather have less and some can only be purchased. Apart from the catapults, all the troops can be cured, so you can take advantage of the territory factor to attack. On the other hand, it has no special features, and in many cases its troops are in trouble. Its natural enemy are the necromancers, if they have some spiders, especially before the release detoxing, the losses will be huge. Dwarfs, the first race you can choose. It is the technological race and it plays well with all the other races. His mech troops are really strong and the gunners complete the deployment. Some say it is the strongest race, others consider it a little limited. From personal experience, when i had with my necromancers clashes with the dwarves, with equal force, the dwarves are advantaged. But i think it also depends on the type of troops deployed, as scorpions should be benefited from the Dwarfs’s mech. Lichs, the third race in order of release. It ‘a very strong race, if deployed well, his troops are very dangerous, especially spiders. They have it easy against humans, especially after the release of spiders. Using the necro hero, or even the mummies, you will be able to resurrect enemy troops, except for mech units and undead. A good technique to get free troops even when dealing with dead enemies is to deploy human troops. If they are killed, they can be resurrected. At the end of the fight, troops can be cured in the hospital, but you will find yourself with the new troop. Let’s say that it is a means bug. It’s the most expensive race to keep. Oh I forgot, they are the best breed to carry out raids on other players’ castles. 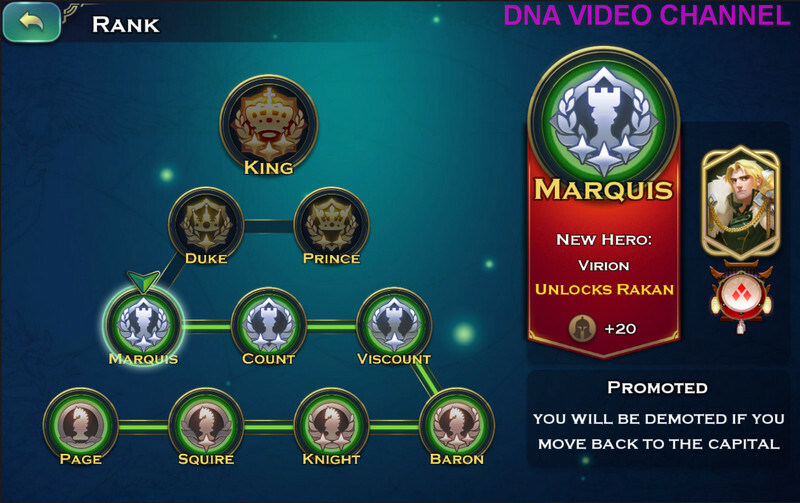 Rakan, unlocks with the title of Marquis. It ‘a race that I have not personally played, however, seems to be preferred by top players at the time. On my server many of the tops have gone to this new breed and they reported that they are very good. Their strongest troop is definitely the turtle. Extremely durable, adds buffs to the troops and has an aoe that deals with various damage and cares for their troops. It ‘a beautiful race to play, even if not the best to carry out the raid. Their immunity to poison makes them great against necromancers. 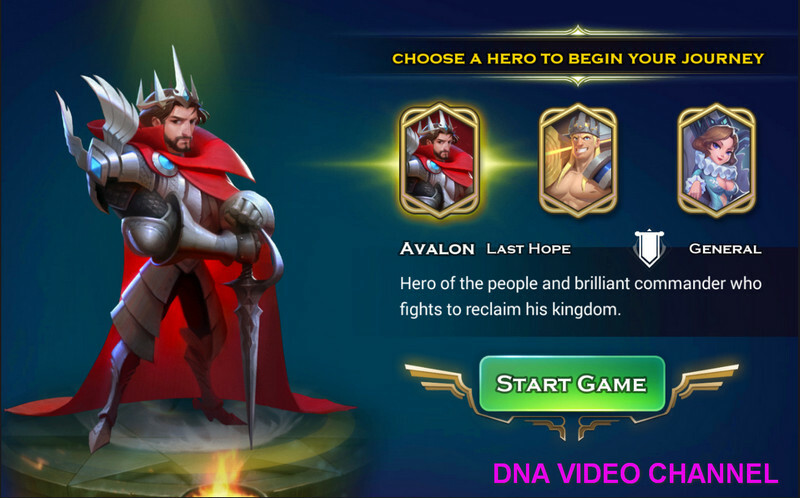 In Art of Conquest, the life points of your heroes are the most important resource of the game. As you will know, if you deploy a hero in battle, a point will be consumed. If life expectancy drops to zero, you have to wait for them to go up or use the proper potions. Consumption always occurs when you deploy the hero. It does not change anything if the deployment occurs when you attack a simple npc, a real player or tackle a dungeon. So a few attacks on the npc that we find around the map, attack them only if they offer a good booty. Always clean the dungeons, recover valuable resources and objects. Minimize the use of life points, for this type of attacks, deploying only the heroes needed to overcome the clash without too many losses. If the clashes take place in your nation’s territories, you will not lose any troops (excluding incurable troops). If they happen outside your borders, deploy some more heroes to avoid losses, then you may be unlucky and have permanent losses. Finally, when you attack other players, always choose enemies that give you a good profit, otherwise you will lose your life points for nothing. Another case where you lose your life is if you are challenged by someone and refuse the clash. In this case, you will not even lose a soldier, but all your heroes will lose a life. To avoid this, do not run away, tackle the clash and deploy only 1 hero with the worst troop you have. In this way you will lose only some element of little value and you will need to treat your hero will definitely be defeated but you will have saved a life point to each of your other heroes. Another fundamental resource in Art of Conquest is fame. Thanks to it, you will gain rank and unlock new heroes and troops. At the same time, the reputation is needed to change their race and is necessary in a quantity proportional to your level. So you may find yourself having to choose between changing race or go to the next rank. In the past, before he changed race was better, because you lost all upgrades made until then. Now it is no longer the case, so my advice is to first unlock the highest rank to which you aspire, and only after changing race. This is because the change race does not offer immediate feedback in terms of strength, which, however, you notice immediately going up in rank. If your choice falls on the new Rakan race, the two goals coincide. In fact you can use the Rakan, only after becoming marquis. To gain fame, you have two options: completing quests or defeating other real players. Especially in the latter case, the fame you could earn is so much. The amount depends on the number of defeated armies. So if you want to quickly gain fame, look for clashes with other opponents in your territory so that in the worst case lose your troops only for the time required for their healing. Several times I tried clashes with opponents almost my same level to gain fame. In most cases, opponents run away. Keep in mind what has just been said. This is a good technique to keep your nation’s territory clean. Of course do it only if you are superior to the enemy. Hardly a stronger enemy be intimidated even if in a hostile environment. As in any good strategy game, even in Art of Conquest the main objective is to gain resources for the upgrading of its buildings. Both mines and dungeons offer good resources, but they are to be regarded as daily actions to be taken, which often are inadequate to purchase the upgrade of one of the buildings. Also why, at least at the beginning of the game or if you are part of a nation not very strong, the mines you can use are very few. In fact, mines can only be used once they have just been discovered if they are out of your territories. In this case, if you need a large amount of resources, try to choose the right time to acquire them by using raids, challenges in tactical school and if necessary killing the bosses. We will see later why you should always avoid accumulating too many unused resources. A last suggestion regarding the recovery of resources from the mines. You have surely seen that there is a chance to protect your resources. Well, do it only if the path is from the mine to your city passes only from your territory. If not, chances are if you encounter an enemy interested in resource and this is going through its territory, almost certainly he will attack. It will have all to gain while you lose your life points unnecessarily. Also, do not waste time protecting the resource if you can not care much about the game. You’ll surely better to do than follow caravans for hours, better devote himself to a more active farming . It has recently been added to the game a chance to face the void mirror. This possibility not only make the game more interesting. It represents a real boon especially when the strength of your army will grow and you will have the opportunity to meet the quest. In fact, we will find several challenges, which if you pass will give awards. The good thing is that the void regenerates once a day. If we overcome a challenge in perfect mode, next time we will not have to face it again, but there will still be a prize. Tokens are very important because at the end of every void world, there are stores where we can buy different objects using these token. But it is not the only thing, in the void we will also find heroes that thanks to tokens we can recruit. For example in my case I completed the trio of selectable heroes and I found the new hero of Rakan. To face the void, you will not lose any troops even if they are killed. This is because the troops are actually a projection of what you have in the real world, just as if it was a mirror. The heroes will have all the life points set to ten and will not be able to recover them even with the potions. For this reason, a very common strategy is to borrow some very strong forces to overcome this. Taking full advantage of the ten points available to continue in the forthcoming void mirror and thus recover the greatest possible amount of resources. My technique to advance as much as possible in the void is to avoid unnecessary losses in clashes that can not be overcome with perfection and instead concentrate on those missions that I can overcome. For example if you find you overcome a mission with one or two seconds longer than the time limit for the perfect, do not go ahead and riprovatela several times, perhaps using different strategies or using the most powerful spells. Or for those missions that you have to overcome with just two heroes, used maybe Avalon plus another hero with a powerful evocation, so as to have more units. Even if you lose the heroes or the strongest unit does nothing. A completed mission is a mission you no longer have to repeat, so you can step up in the chain of missions. Another very useful technique is to use only the strictly necessary heroes to avoid too many losses. In this way we will be able to preserve the life points of the heroes who are not part of the group. By making a good turnover of the same, we can reach even 4 or 5 fights in more than just the standard 10. Of course, if you are very strong, you will probably be able to overcome 4 or 5 fights, but you must always keep the first suggestion in mind, and try to overcome the clash with a great deal whenever possible. 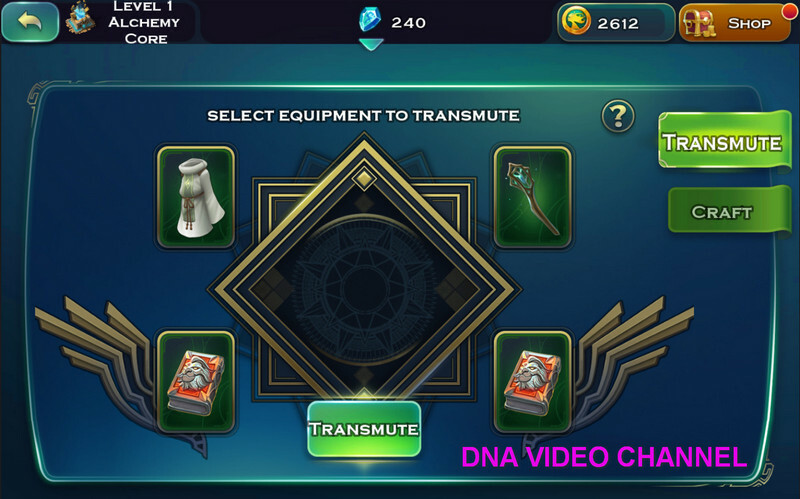 The transmutation has been included in the latest patch of the game and allows you to convert the unused equipment in others. If you are lucky, you will get higher rarity equipment and in the meantime they earn crystals to be used for crafting. 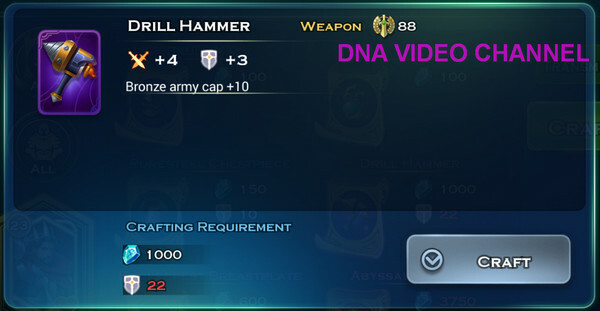 Crafting is very important because in Art of Conquest if a hero wears more pieces of the same set of equipment, special abilities are activated, usually when they have at least 3 and the full set. You will understand that to be able to complete a set, crafting is critical. Always the last patch the void mirror was inserted, where you can get very useful equipment without having to sacrifice your troops. The resources, as mentioned, are recovered from transmutation, and for the most advanced projects, they also serve inferior level objects to be sacrificed. For the hero’s abilities there is little to do, experience and potions to make them grow, so choose carefully to those given potions to increase the statistics. Instead, you buy the equipment project near the archives near the capital or you will find them during the void mirror exploration. You need to use the fame points to buy a project. 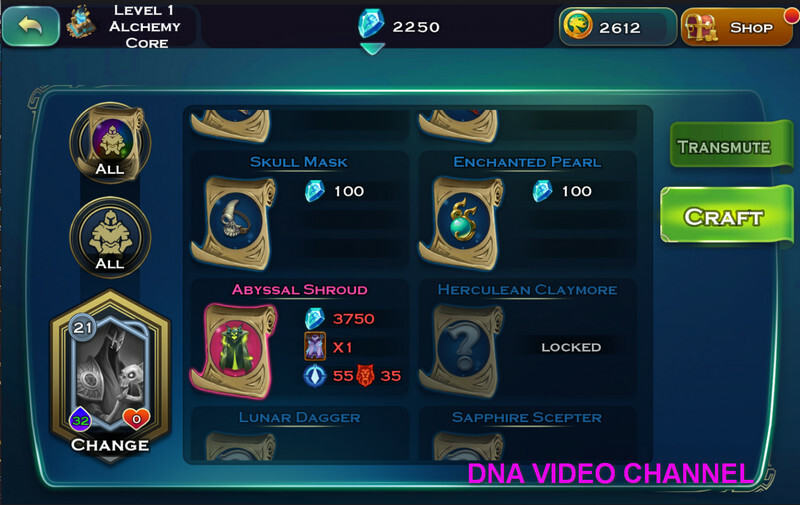 The higher the rarity of the equipment, the higher the cost in fame. Do you know that i’ve managed to make a mistake and do something that has made me lose some of my fame? Well my hero does not even remotely have the requirements required for the creation of that legendary object. And even if it had, i should first create the object of the lower level, which of course I did not buy for lack of fame. Result, 20000 fame spent for a project that is currently unusable. Avoid purchasing projects that are superior to your skills. Art of conquest is primarily an RTS, and like any self-respecting RTS, the development of buildings in one’s own city is crucial for the growth of one’s power. Each race has its own specific structures and characteristics, even though many buildings have similar features. Castle. The heart of your city.The higher the level, the higher the level that the other structures can reach. Often you will have to wait to pick up the castle to unlock the levels useful for building the other buildings. Production facilities: Residence produces gold, sawmill produces wood, Magic stream produces mana. Warehouse. Increases the maximum amount of storable resources. Outpost. Increases the maximum number of trainable units. Read the rest of the guide to see which other ways you can increase this number. Hospital. Here you can treat wounded units after battles. Remember that outside your borders not all troops can be healed. Academy. The classic structure for technological research. It is a fundamental structure to increase the strength of its troops. Tactical school. Another very important structure. Here you will be able to face different challenges with the army you possess without risking losing unity. If you manage to overcome them you will get equipment resources and other prizes. Alchemical core. It allows to sacrifice pieces of equipment not useful hoping to get the best pieces. Gate. Here you gather your defense soldiers. The troops used for defense can not be used again for the attack, so be careful not to move important troops. Temple. Here you can unlock the statues of the gods and you can enter the Runestones to get favors from the same gods. Dragon Lair. One of the latest structures come into play. Here you can breed a dragon since it is an egg until it becomes a mighty destructive being and with it explore the meanderings of the darkest abyss. The structures to recruit the various units instead change for each race, however even if you decide to change race during the course of the game, the level of the structure will not be lost and will be converted into the level of the corresponding structure of the starting race. 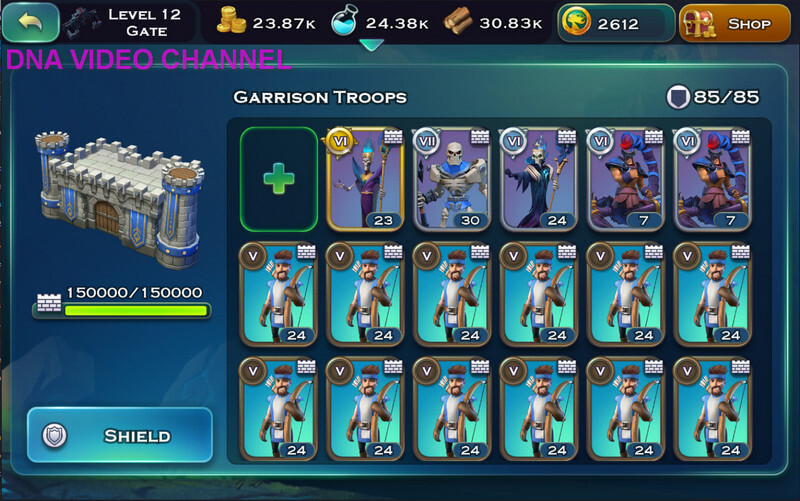 A limit imposed in Art of Conquest is the amount of troops trainable. In particular, there are three versions of each troop, bronze, silver and gold. It starts with the bronze version of the troop that has less points of attack and life points and does not have certain abilities. Silver troops are better than bronze and will have some extra skills. Finally, the gold version, on the other hand, has all the abilities and even the maximum of the attack and the life points available for that troop. Of course then come into play upgrades of the buildings that allow you to instead increase the level. A level 1 spider is certainly not equal to a level of 10 spider. 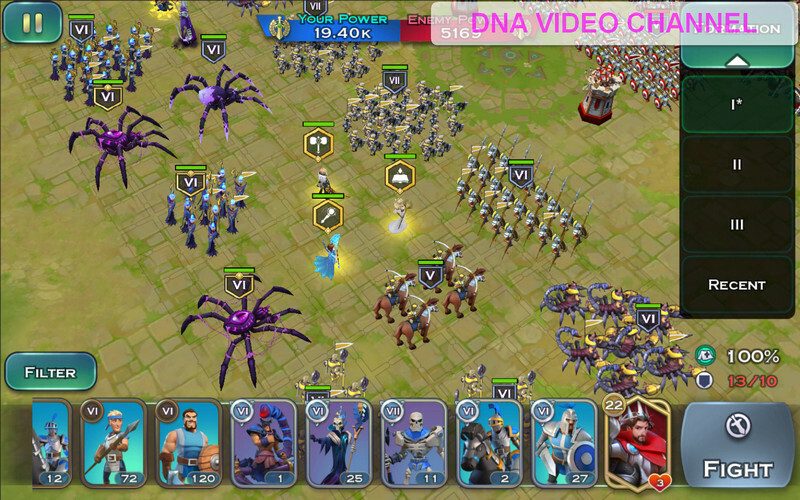 However, to increase the maximum number of troops trainable, you will have some possibilities. or as the Drill Hammer that increases the cap for bronze units by ten. You can build it in the forge after unlocking the project. I found it in the void. Buy the monthly base package, which also offers a cap increase of silver and gold units. It does not cost much, but after the first month, they are always money. Maybe you will not believe it, but i’ve never been attacked until i abandoned it to switch to another server. I was also lucky, as the cities i was in were never besieged. In that case, the attack would have been inevitable, as the target of the enemies is no longer simply the recovery of resources. However, if you follow these tips, it is difficult for you to become a farm. The rules to follow are simply two. First, you must avoid making a succulent goal to plunder. Unless you are the first in the standings, always consider that there is always someone stronger than you might want your resources. So we avoid accumulating too much resources that you can not spend. If you can not avoid it, for example by accumulating wood for the next construction, remember that you always have the opportunity to protect yourself for eight hours with a beautiful magic dome. If the first advice is useful, the second is crucial. As you will know, the walls that crawl your city are not put there for beauty. They go filled with soldiers armed to the teeth. A city with few resources and with many soldiers is a great deterrent. Consider that attackers do not have 100% recovery of their units because they are out of their own area of influence. So unless you are right on the boxes or there is a top goal, no one will attack you for just a few resources if your castle is well defended. Later in the game, as soon as you unlock the golden units, do not limit yourself to using them only in attack. Create and deploy as many units of gold as you can within your walls. Consider that the attacker has heroes on his side and personally commands the army, so he can fully exploit the potential of his troops. Only using the gold units you can expect to resist the attacks of the best players of you. The more you have the better it is and considering that unless you are necromancers and choose skeletons and liches as troops, the wounded troops can be healed, so they are certainly well spent resources. Try to create mixed infantry and long-range troops. The first will be deployed in front of your castle, the seconds hand lashes out their strokes from the top of your walls. A note to do right on the necromancers. The undead troops are useful because between a fight and the other will be resuscitated automatically, so it’s like having more troops in defense. However, the percentage of resuscitated troops can never reach 100% and at least at the beginning it is really low. Among a clash and the other will lose up to 50% of the troops will not be recoverable and therefore lost resources that you can never recover. So be careful not to fill your walls with only undead, you may see your defense defeated. When the target of your enemies is not your miserable resources, the problem is a little bigger, especially if the attacker is much stronger than you are. In this case you have to trust the help of your allies. I tend to attack someone who seemed helpless and instead was supported by several allies. The result was often dealt the blows. If you are attacked, do not hesitate to ask for help from your allies. In some alliances a little more series there is also a network of defense between the allies so that each one turns out to be covered by two or more neighbors. If this is not enough, remember that your castle is not indestructible and could be destroyed. When it happens, you will be transferred to the capital of your nation and you will not be able to move until at least 10% of the walls have been restored, which may take several hours. In this case, my suggestion is to avoid being destroyed and to anticipate the move. If your alliance owns several cities, move temporarily to another, you will be more helpful so you can take advantage of other allies. Otherwise, in the worst case, move on capital. You will lose your rank and you will not have the opportunity to recruit the most advanced units or resources to steal your enemies. However your castle will not be completely destroyed and will have the opportunity to move after a short time. In this Art of Conquest guide, i have enclosed all my current experience of the game. As the best experience is gained by playing, if i find other aspects that go deep, i will add them to this guide. If you have any suggestions or any other, please leave a comment. Remember to share the article with your friends if it’s useful. Register to my pages and my Youtube channel to stay up to date. Your every like or follow is the right motivation for me to keep writing and keeping the blog updated.